Well folks, it’s happened. 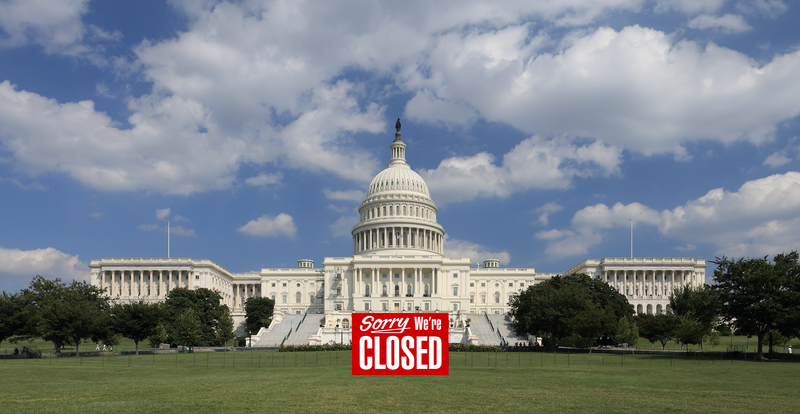 Congress failed to pass a continuing resolution to fund the federal government, and as of this morning the government has shut down, all non-essential employees are at home, and essential and non-essential employees alike are without pay. If you’re a government employee deemed “essential” then the good news is you’ll receive back pay for the time you work during the shutdown once the government resumes operations.